Now cut at 45 RPM, double LP! 200-gram LPs pressed by Quality Record Pressings! Deluxe heavyweight gatefold Stoughton Printing jackets! "...the 2006 'Capitol Stereo LP' allowed a plausible argument that Wilson only mixed to mono because he ran out of time. It lacks the mono's dynamics and shares the 'Passions' LP's somewhat thin tonal quality. Analogue Productions' 45RPM stereo cut resolves these issues, presenting a continuous soundstage with a tonal signature similar to the label's mono version — even if the soundstage sounds quite different in stereo." — 5/5 stars, Dennis Davis, vinylreviews.com. Read the whole review here. A musical legacy that began in Hawthorne, California and went on to conquer the world. Analogue Productions presents the ultimate pressings of 14 essential Beach Boys albums! Mastered by Kevin Gray, most from the original master tapes, and plated and pressed by Quality Record Pressings, the finest LP pressing facility in the world, these are awesome recordings to experience. And the look of each album befits its sonic superiority! Presented in "old school" Stoughton tip-on deluxe gatefold jackets, these time honored favorites shine brighter than the originals! For the early part of the Beach Boys' career, all of their singles were mixed and mastered and released only in the mono format — they didn't release a single in stereo until 1968. In those days, hits were made on AM radio in mono. And the mono of those times worked well for Brian Wilson — famed co-founder, songwriter and arranger — who suffers from partial deafness. Still, apart from Surfin' Safari, which was mono only, the Beach Boys did turn in stereo masters on all of their early albums up until 1965. All of the newer stereo mixes on these remastered albums (The Beach Boys Today!, Summer Days (And Summer Nights!! 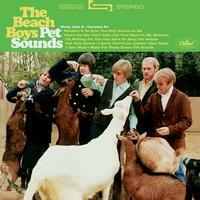 ), The Beach Boys' Party, Pet Sounds and Smiley Smile) were all done by Mark Linett on behalf of the Beach Boys. Pet Sounds is famous for its use of multiple layers of unorthodox instrumentation as well as other cutting edge audio techniques for its time. It's considered the best Beach Boys album, and one of the best of the 1960s. The group here reached a whole new level in terms of both composition and production, layering tracks upon tracks of vocals and instruments to create a richly symphonic sound. Conventional keyboards and guitars were combined with exotic touches of orchestrated strings, bicycle bells, buzzing organs, harpsichords, flutes, Theremin, Hawaiian-sounding string instruments, Coca-Cola cans, barking dogs, and more. It wouldn't have been a classic without great songs, and this has some of the group's most stunning melodies, as well as lyrical themes which evoke both the intensity of newly born love affairs and the disappointment of failed romance (add in some general statements about loss of innocence and modern-day confusion as well). The spiritual quality of the material is enhanced by some of the most gorgeous upper-register male vocals (especially by Brian and Carl Wilson) ever heard on a rock record. "Wouldn't It Be Nice," "God Only Knows," "Caroline No," and "Sloop John B" (the last of which wasn't originally intended to go on the album) are the well-known hits, but equally worthy are such cuts as "You Still Believe in Me," "Don't Talk," "I Know There's an Answer," and "I Just Wasn't Made for These Times." It's often said that this is more of a Brian Wilson album than a Beach Boys recording (session musicians played most of the parts), but it should be noted that the harmonies are pure Beach Boys (and some of their best). VH-1 named Pet Sounds as the No. 3 album in the Top 100 Albums in Rock 'n' Roll History, as judged in a poll of musicians, executives and journalists. It's been ranked No. 1 in several music magazines' lists of the greatest albums of all time, including NME, The Times and Mojo Magazine. It was ranked No. 2 in Rolling Stone's 500 Greatest Albums of All Time list. The best version I have ever heard hands down and it's not even close. Going to trade in my from the vault mono to the the local record shop and buy the AP mono version at 45rpm. This is till date the definitive version for me. Thank you AP!